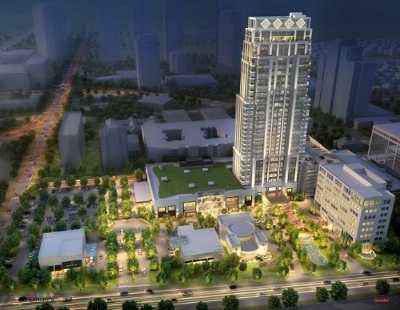 HOUSTON – Tilman Fertitta has poured the foundation for his 36-story mixed-use tower on Loop 610 in the Uptown area of Houston. The 680,000-square-foot project, called The Post Oak, will have 250 hotel rooms, 140,000 SF of office space, 22 apartment units, a Mastro’s Steakhouse, a Willie G’s Seafood, upscale retail and 1,000 parking spaces. The 10-acre project, located on the west side of Loop 610 where Landry’s currently has its headquarters, will open in the fall of 2017. Mr. Fertitta wholly owns restaurants, hotels and casinos through his Fertitta Entertainment organization, which includes Golden Nugget casino hotels and 500 restaurants including Landry’s and McCormick & Schmick’s Seafood. Fertitta also owns a number of hotels including the downtown Westin near Minute Maid Park and the San Luis Hotel in Galveston and entertainment facilities such as the Aquarium in downtown and the Pleasure Pier in Galveston. 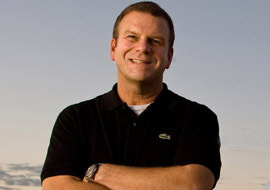 Tilman Fertitta, Chairman, President and CEO of Landry’s Inc.